HOW TO ENTER. To enter the contest, eligible individuals must create and upload a photo (“photo”) of their senior cat (animal should be at least 8 years old, either living or deceased). The photos should be named with the cat’s name and age. All photos must comply with the requirements detailed in Section 3 below. All photos becomes the property of OldCatsRule and will not be returned or acknowledged. Entries must be received by during the contest period. Limit of one (1) entry per person. Void where prohibited. All entries received by the end of the contest period that are complete, meet the requirements below, and otherwise meet the eligibility and other requirements set forth in these Official Rules will be judged in accordance with the judging criteria in Section 4 below. Entries or any other material documents that are forged, altered, incomplete, or generated by a macro, bot, or other automated means will not be accepted and will be void. ELIGIBILITY: This contest is open only to legal residents of one (1) of the fifty (50) United States or the District of Columbia and Canada who are at least 18 and the age of majority in the state where they reside at the time of entry. The photo should be submitted in jpeg, TIFF or PNG format. The photo must be submitted through the OldCatsRule contest page on Facebook. The photo must not infringe, misappropriate, or violate any rights of any third party including, without limitation, copyright, trademark, trade secret, or right of privacy or publicity. The photo must not contain any commercial or corporate advertising (including, without limitation, corporate logos, brand names, and slogans), recognizable branded products, artwork or political, personal, or religious statements. The photo must not include information or content that is false, fraudulent, deceptive, misleading, defamatory, threatening, trade libelous, slanderous, libelous, disparaging, unlawfully harassing, profane, obscene, pornographic, hateful, indecent, or injurious to any individual, Sponsor, or any third party. Entrant agrees that his/her participation in the contest and agreement to these Official Rules. .
Entrant agrees to indemnify the Released Parties (defined below) against any and all claims from any third party for any use or reuse of the photo. By entering the Contest, each entrant represents and warrants that he or she has obtained all of the rights, licenses, and permissions from each person who appeared in or helped to create the photo Submission and from the locations appearing in the photo Submission. If the same photo is entered in the contest more than once, only the first entry will be eligible. Sponsor reserves the right at its sole discretion to disqualify, decline to display and remove from the Web site any entry or photo that, in its sole discretion, refers, depicts, or in any way reflects negatively upon the Contest, or any other person or entity or does not comply with these requirements or these Official Rules. Photos must be suitable for presentation in a public forum, in the sole determination of the administrator. SELECTION OF WINNER: Eligible photos will be judged by votes from fellow contest entrants in conjunction with the administrator. If there is a tie, the tie will be broken by the entry with the higher score in the quality of performance category. The winner will be notified that he/she may have won a prize in this contest by mail, telephone or electronic mail (at administrator’s sole discretion) on or about November 29, 2013. VOTING: Throughout the contest period eligible photos, if any, will be posted for public voting on the web site/blog and possibly other web sites to be determined at the sole discretion of the administrator. Entrant may be disqualified in administrator’s sole discretion if any voting software, macro, bot, or any other automated or improper means is used to vote in the entrant’s favor. PRIZE:The entrant with the winning photo, subject to verification, will receive the following prize: coupons good for 6 months’ worth of World’s Best Cat Litter. If legitimately claimed, the prize will be awarded. All taxes and other expenses not specified herein are the sole responsibility of the winner. No transfers, prize substitutions, or cash redemptions will be made. Administrator reserves the right to substitute the stated prize or portion thereof with another prize or portion thereof of equal or greater value for any reason, including, without limitation, due to the prize unavailability. No more than the stated prize will be awarded.LIMITATIONS OF LIABILITY: EACH ENTRANT AGREES TO RELEASE, HOLD HARMLESS AND INDEMNIFY JUDGES, SPONSOR, ADMINISTRATOR, MOVEMENT PROMOTIONS AND EACH SUCH ENTITY’S PARENT COMPANIES, DIVISIONS, SUBSIDIARIES, AFFILIATES, ADVERTISING, PROMOTION, AND PUBLIC RELATIONS AGENCIES, AND THE RESPECTIVE OFFICERS, DIRECTORS, EMPLOYEES, REPRESENTATIVES AND AGENCIES OF EACH (COLLECTIVELY “RELEASED PARTIES”) FOR ANY LIABILITY WHATSOEVER FOR INJURIES OR DAMAGES OF ANY KIND SUSTAINED IN CONNECTION WITH THE PRIZE, OR ARISING FROM THE USE OF THE WINNER’S NAME OR LIKENESS IN THE OLDCATSRULE BLOG, TWITTER PAGE OR FACEBOOK PAGE, INCLUDING, WITHOUT LIMITATION, ANY INJURY, DAMAGE, DEATH, LOSS, OR ACCIDENT TO PERSON OR PROPERTY. WINNER AGREES THAT THE PRIZE IS PROVIDED AS-IS WITHOUT ANY WARRANTY, REPRESENTATION, OR GUARANTEE, EXPRESS OR IMPLIED, IN FACT OR IN LAW, WHETHER NOW KNOWN OR HEREINAFTER ENACTED, RELATIVE TO THE USE OR ENJOYMENT OF THE PRIZE, INCLUDING, WITHOUT LIMITATION, ITS QUALITY, MERCHANTABILITY, OR FITNESS FOR A PARTICULAR PURPOSE. FURTHER, NO RESPONSIBILITIES ARE ACCEPTED FOR ANY ADDITIONAL EXPENSES, OMISSIONS, DELAYS, OR RE-ROUTING RESULTING FROM ANY ACTS OF ANY GOVERNMENT OR AUTHORITY. LICENSE:By entering, except where prohibited by law, each entrant grants to Sponsor and its agents and assigns in perpetuity, the absolute right and permission to use, edit, modify, cut, rearrange, add to, delete from, copy, reproduce, translate, separate, dub, adapt, publish, combine with other material, reuse, adapt, and exploit the content of and elements embodied in the Videos, entries, and the entries themselves, in any and all media, including but not limited to digital and electronic media, computer, audio and audiovisual media (whether now existing or hereafter devised), in any language, throughout the world, and in any manner, for trade, advertising, promotional, commercial, or any other purposes without further review, notice, approval, consideration, or compensation. Each entrant agrees that the licensed entities may, but are not required to, attribute a Video to an entrant. Each entrant waives and releases the Released Parties from any and all claims that entrant may now or hereafter have in any jurisdiction based on “moral rights” or “droit moral” or unfair competition with respect to the Released Parties’ exploitation of entries without further notification or compensation to entrants of any kind, and agrees not to instigate, support, maintain, or authorize any action, claim, or lawsuit against the Released Parties and each of their affiliates, licensees, or any other person in connection with this Contest, on the grounds that any use of any entry, or any derivative works, infringe or violate any of entrants rights therein. Each entrant acknowledges and agrees that nothing in these Official Rules will require Sponsor to use the Video in part or in whole or to include the Video in any Sponsor-related property, including, without limitation, the OldCatsRule web site or commercials.ADDITIONAL DISCLAIMERS:The Released Parties are not responsible and/or liable for any of the following, whether caused by a Released Party, the entrant, or by human error: any lost, late, incomplete, illegible, mutilated, or misdirected entries or mail or postage-due mail; any error, omission, interruption, defect or delay in transmission or communication; viruses or technical or mechanical malfunctions; interrupted or unavailable cable or satellite systems; errors, typos, or misprints in these Official Rules, in any Contest-related advertisements or other materials; failures of electronic equipment, computer hardware or software; lost or unavailable network connections, or failed, incorrect, incomplete, inaccurate, garbled or delayed electronic communications or entry information. Each entrant hereby acknowledges and agrees that the relationship between the entrant and any of the Released Parties is not a confidential, fiduciary, or other special relationship, and that the entrant’s decision to submit the photo for purposes of the Contest does not place any of the Released Parties in a position that is any different from the position held by members of the general public with regard to elements of the photo, other than as set forth in these Official Rules. Each entrant understands and acknowledges that Sponsor has wide access to ideas, designs, and other literary materials, and that new ideas are constantly being submitted to it or being developed by its own employees. Each entrant also acknowledges that many ideas, designs or performance styles may be competitive with, similar to, or identical to the photo and/or each other in idea, performance style, format, or other respects. Each entrant acknowledges and agrees that such entrant will not be entitled to any compensation as a result of Sponsor’s use of any such similar or identical material that has or may come to Sponsor from other sources. Each entrant acknowledges and agrees that Sponsor does not now and shall not have in the future any duty or liability, direct or indirect, vicarious, contributory, or otherwise, with respect to the infringement or protection of the entrant’s copyright in and to the photo or any other materials submitted by entrant. Each entrant acknowledges that, with respect to any claim by entrant relating to or arising out of Sponsor’s actual or alleged exploitation or use of any photo or other material submitted in connection with the Contest, the damage, if any, thereby caused to the applicable entrant will not be irreparable or otherwise sufficient to entitle such entrant to seek injunctive or other equitable relief or in any way enjoin the production, distribution, exhibition, or other exploitation of the OldCatsRule properties or any other production based on or allegedly based on the Video, and entrant’s rights and remedies in any such event shall be strictly limited to the right to recover damages, if any, in an action at law. This contest and any dispute arising under or related thereto (whether for breach of contract, tortious conduct or otherwise) will be governed by the laws of the State of New York, without reference to its conflicts of law principles. Any legal actions, suits or proceedings arising out of this contest (whether for breach of contract, tortious conduct or otherwise) will be brought exclusively in the state or federal courts located in New York, N.Y., and each entrant accepts and submits to the personal jurisdiction of these New York courts with respect to any legal actions, suits or proceedings arising out of or related to this contest. WINNER’S LIST/OFFICIAL RULES: To find out who won, send your request and a legal-size, self-addressed, stamped envelope to: OldCatsRule, 60 West 142nd St., New York, NY 10037. Requests must be received no later than six (3) months following the end of the contest period. For a copy of these official rules, print these rules, or send your request and a legal-size, self-addressed, stamped envelope prior to end of the Contest Period to: OldCatsRule 60 West 142nd St., New York, N.Y. 10037. SPONSOR:The Administrator of the Contest is OldCatsRule, 60 West 142nd St., New York, NY 10037. November is Adopt-a-Senior-Pet Month, so to honor our furry elders, we will have OCR’s third annual Cutest Senior Cat Contest. It’s an “American Idol” for cats — without the comments from Simon or Paula. It’s simple, fun and best of all, the top cat wins coupons for six months’ worth of World’s Best Cat Litter. The winner will have their choice of regular, clumping or scented formula. And that’s not all… we decided to do coupons, so our friends in Canada can take part. CLICK HERE TO ENTER. To join in the fun, simply upload a photo of your senior cat (age 8 and older) and include their name and age. OCR’s community will vote for the feline who embodies the cat-itude that makes seniors so very special. Remember, it is important to include all the information on the form and your cat’s age. 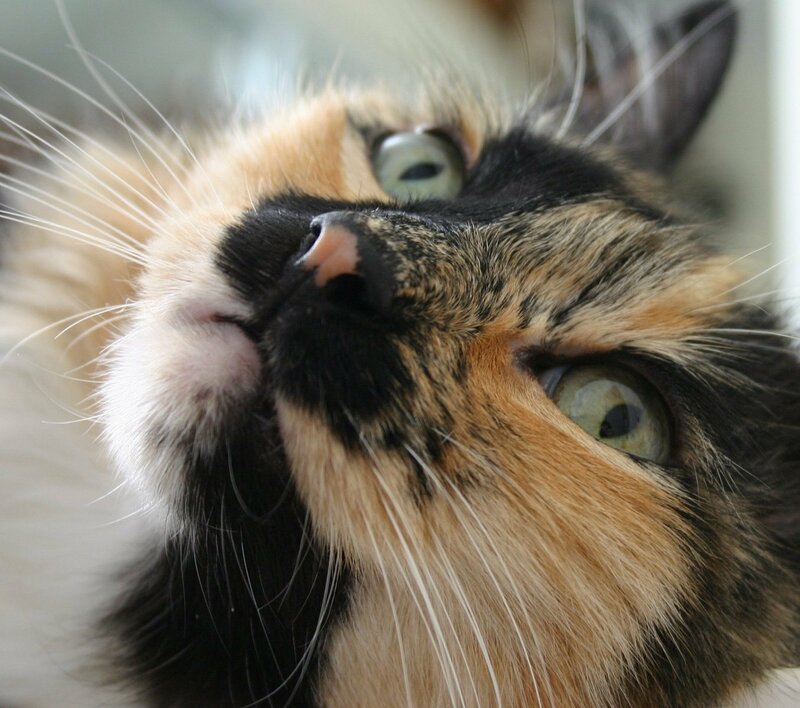 Cats that have crossed the Rainbow Bridge are also eligible. You can submit an entry from November 1 to 14; voting will be from the 15th to 22nd and the winner will be announced on November 29th. While we love puppies and kittens, this contest is one small way the get the word out that seniors have so much love and wisdom (yes, wisdom) to offer. This will be the first year I’ve done the contest without Bubba, the inspiration for OCR. Although he lives on through OCR’s wonderful community and my memories, this year’s contest is specially dedicated to him. What can I say? The stress of long-term unemployment has taken a toll. We posts items daily on OCR’s Facebook page but have decided to resume the blog when we find a job. Hana didn’t need a contest to be a star. For 16-and-a-half years, this lovely girl brought happiness to her family. 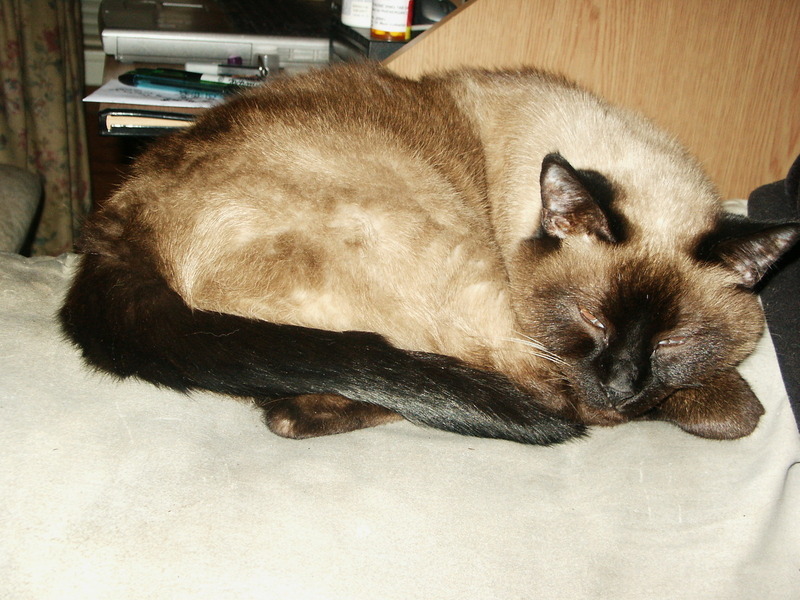 Unfortunately, time catches up with all of us, and on November 15, 2010, Hana crossed the Rainbow Bridge. A death in the family is always hard and you never really get over it. Meantime, it was nice to see how the OCR community appreciated Hana’s beauty and sweet soul. She won the contest — and our heart. Our condolences go out to Hana’s family. It is a bittersweet way to end OCR’s second Cutest Senior Cat Contest on Facebook. Nevertheless, it is a reminder of how precious time and our cats are and the importance of savoring every moment. Chyna Bear chills after entering OCR's Cutest Senior Cat Contest. OCR’s 2nd annual Cutest Senior Cat Contest launched today and it is rocking Facebook thanks to our friends and fans — but most of all, those fabulous felines that deign to share our lives. Every November, OCR celebrates Adopt-a-Senior Pet Month with an American Idol-style contest that lets the community choose their favorite senior cat. 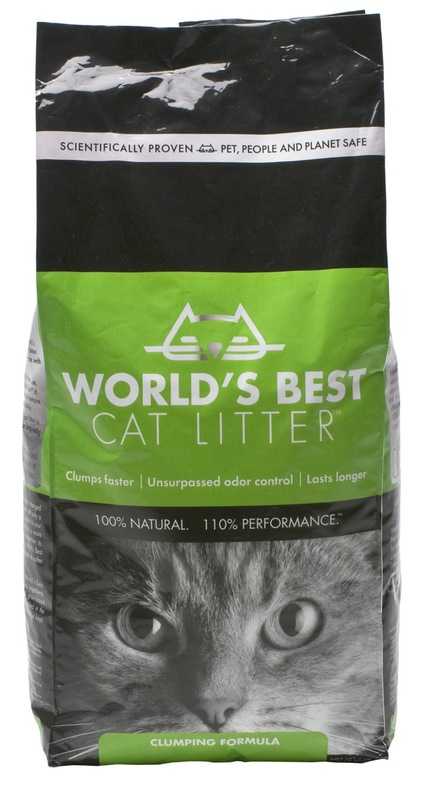 And once again, we are happy to partner with World’s Best Cat Litter for a grand prize that includes a 6-month supply of litter. (I’ve tried WBCL and give it two paws up). 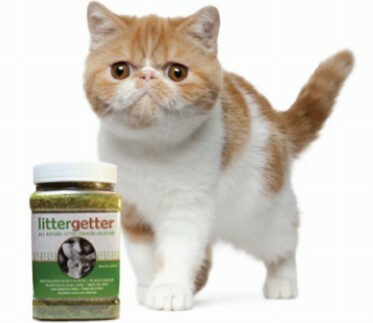 If you want your cat to glitter in the OCR Hall of Fame — and win the litter — it’s really simple.Visit OldCatsRule on Facebook, and click on the the promotions tab and upload a photo of your cat along with the cat’s name and age. But don’t wait too long because the contest ends November 14. The winner will be announced by the end of the month. Think about it: you won’t have to run to the store for cat litter and can focus on last-minute holiday shopping or parties. All contestants must be at least 18 years of age and live in the United States. Pet Insurance: Should You Buy It? No one has to tell you that there are tons of products being marketed for pets that are completely unnecessary and wasteful of your time, money, and effort. Seriously, who needs a designer Snuggie for dogs? Sometimes it’s fun to buy novelty items for pets, but the upshot of it is that we know when we’re buying stuff we don’t need for our furry friends. If only it were so easy to decide whether or not to buy pet insurance – but with the following discussion of benefits and caveats, you should be able to figure out why insurance is worth it (or not) for you and your pet. If you have an older pet, the good news is that insurance can help you save on increasing health care costs, compensating for the more frequent and extensive health issues that often afflict older pets. With new technological developments, treatment prices are going up steadily. For example, when pets are found to have cancer, chemotherapy and radiation treatments are now available and can cost you thousands of dollars if your pet is uninsured. Once you’ve met your deductible, your insurance company will take care of the rest. Often, these deductibles are priced from $50 to $200, but more at-risk pets may require higher ones. Monthly payments are pretty low, ranging from about $17 to $50. 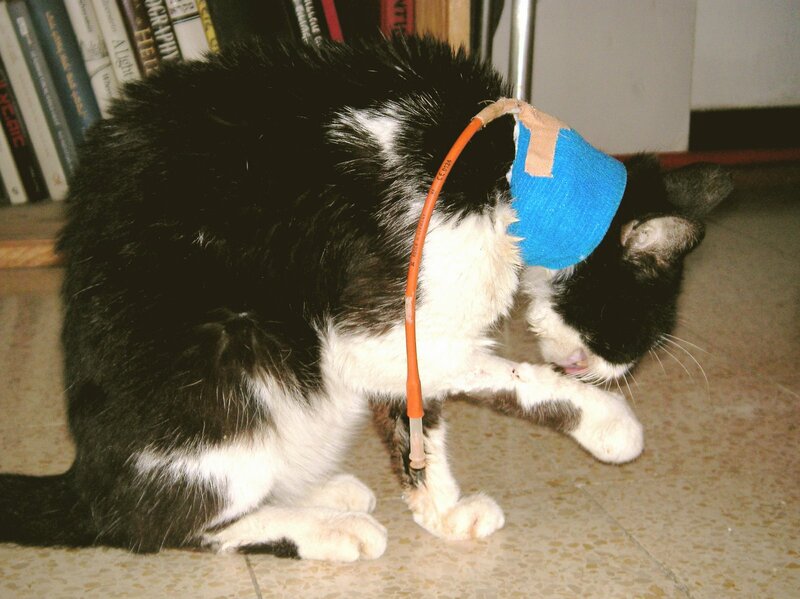 Older pets and those who have been consistently ill are likely to require payments at the higher end of the spectrum, but if you ever need to pay bills for chemotherapy, broken bones, ingestion of foreign objects, vehicular accidents, or other extreme cases, you’ll be glad you chose to pay each month. Most insurance plans cover a wide variety of potential mishaps and illnesses. For example, car accidents, dog attacks, accidental poison or foreign object ingestion, X-rays, surgeries, cancer, diabetes, heartworm issues, allergies, arthritis, other illnesses, and even preventative care are all covered. You won’t have to pay for your annual checkups, dental cleaning, or vaccinations when you purchase pet insurance. You can choose any vet you’d like to use. Depending on which insurance company you select, you may be able to enjoy benefits like discounts on food, boarding, and training in addition to vet bills. Because monthly insurance payments depend on your pet’s age, breed, and location, the insurance you need for older pets is often much more expensive. However, if you buy insurance while your pet is still young, you’ll have a better chance of having a more reasonable monthly payment once your pet begins to age. Hereditary problems, genetic conditions, and predisposition to issues like hip dysplasia often are not covered or require an additional monthly charge. If your annual vet bills total less than the amount you spend on insurance, you’re wasting money. Even if you end up paying more for insurance than you would for vet bills, pet insurance might be the right choice for you if you want the peace of mind that comes with it. You won’t have to worry about any surprise charges, expenses, or decisions about treatment based on price ranges. It’s impossible to tell whether or not your pet will ever need insurance, but some animals are more predisposed to illness or other health conditions than others. For these types of pets in particular, insurance tends to be a popular option, but premiums are higher in these situations. In the end, it’s up to you as you decide how much of a strain your budget can take, whether or not you can afford another monthly bill, and how important your pet’s health is.